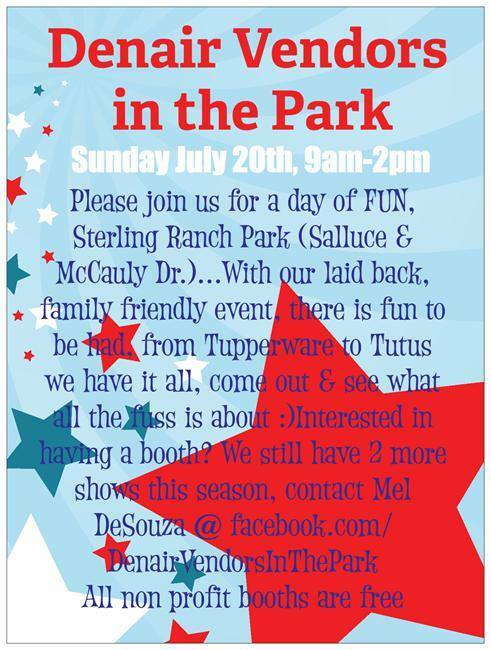 The next Denair Vendors in the Park is scheduled for Sunday, July 20, 2014, 10:00 am to 2:00 pm. Join them for amazing shopping, all while supporting small businesses, home businesses and local artists. It’s a laid back community and family friendly event, fun to just stop in and walk around. Bring the kids and the pooch too. they have a terrific assortment of booths for you to enjoy, from candles to country glass wear, they have it all! It all happens in Sterling Ranch Park, on the corner of Salluce Drive and McCauly Drive. David Wessler liked this on Facebook.